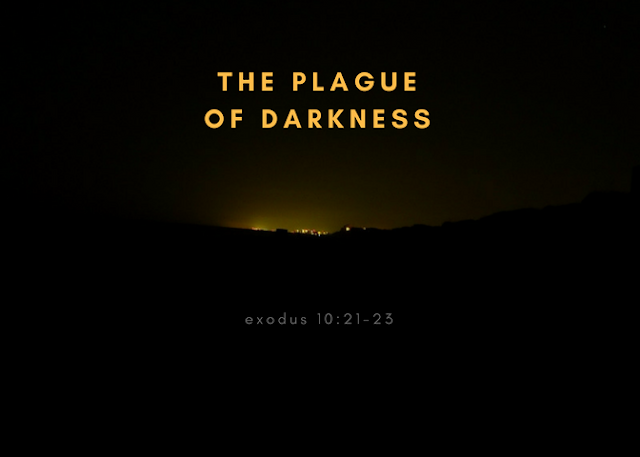 Pretty much everyone is familiar with the infamous 'biblical plagues of Egypt' and why they were brought upon the land during that time. However, it's easy to overlook the miracle of light that was hidden in the miracle of darkness that covered the land and baffled the Egyptians for three days and nights. As details are written, Joseph was sold into slavery to a caravan that was headed to Egypt by his eleven [jealous] brothers. They devised a story to tell their father, Jacob, that Joseph had been killed by wild animals, taking his bloody coat as proof. For years, Jacob grieved thinking his son was dead. And the eleven brothers spent each day being reminded of their evil deed as they saw the pain of loss etched across their father's face. Fast forwarding, Joseph interpreted the Pharaoh's troubling dream that warned of seven years of famine. The Most High also revealed to Joseph what to do to survive the famine. The Pharaoh was so pleased and relieved that he placed Joseph over all of Egypt, putting him in control of all affairs, including the seven-year preparation for the seven years of famine. Ironically, the famine is what would reunite Joseph with his family, as the severity of the famine set in and word spread throughout surrounding lands that there were food supplies in Egypt. Joseph's father sent his sons [Joseph's brothers] to Egypt to buy food. And after a series of troubling events, Joseph revealed himself to his brothers and sent them back with word to his father to come and 'dwell in the land of Goshen'. The Pharaoh describes the land called 'Goshen' as the best of the land. And the Most High had given Joseph so much favor and goodwill among the Egyptians that the Pharaoh requested chief herdsmen from among Joseph's people appointed over his livestock. He trusted Joseph and his God to be his salvation during the years of famine, instead of those from among his own Egyptian subjects. Goshen becomes significant in later years because the Israelites lived in that section of Egypt during the plagues. Years had passed. Joseph, his family and the Pharaoh who favored the Israelites had died. The new Pharaoh knew nothing of the wonders that the Israelites God had done to preserve Egypt. He saw them as slaves who were multiplying and assigned them cruel taskmasters to oppress them to prevent an uprising. At one point the Pharaoh even ordered the murder of all the male babies. Now there arose a new king over Egypt who did not know Joseph. And he said to his people, "Look, the people of the children of Israel are more and mightier than we; come, let us deal shrewdly with them, lest they multiply and it happen in the event of war that they also join our enemies and fight against us..." Therefore they set taskmasters over them to afflict them with their burdens. This is the miracle of light inside the miracle of darkness. Total darkness covered the entirety of Egypt. They didn't leave their houses for those three days because they couldn't see each other. Which means they couldn't see anything. But in the midst of all that thick darkness and fear, the Israelites enjoyed a normal life in the land of Goshen. There was no darkness or confusion. In fact, Goshen suffered none of the plagues brought upon Egypt during YAH's deliverance of His people, the Israelites. Plagues are upon the earth. Come into the safety of YAH's mercy. REPENT and be baptized in the name of Yahusha [Jesus] and be filled with the Holy Spirit [Ruark Haquadesh]. Salvation is found in no other that will get you through the darkness that currently covers the earth. Though darkness covers the earth, take heart. Be of good cheer. Yahusha is the Light of the World.